When flashing lights are seen in a distant tower, Philip, Dinah, Lucy-Ann and Jack decide to investigate – and discover a very sinister plot concealed within its hidden rooms and gloomy underground passages. 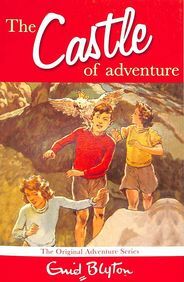 Enid Blyton, who died in 1968, is one of the most popular and prolific children’s authors of all time. She wrote over seven hundred books, which have been translated into many languages throughout the world. She also found time to write numerous songs, poems, and plays, and ran magazines and clubs.